CBS Thursday became one of the biggest growth nights on TV in 2017-18, largely driven by the megahit newbie Young Sheldon at 8:30. S.W.A.T. was also a double-digit improvement in the last hour, compared with a rotating cast of 10/9c occupants. The fall was actually the smallest growth period of the year, largely because The Big Bang Theory was unable to keep up with its fall 2016 pace. The comedies all popped up nicely in January, and S.W.A.T. in the winter was compared against an even bigger bomb than it was in the fall. In the spring, S.W.A.T. fell off a bit and was also compared against a more reasonable occupant in The Amazing Race. But there was more massive growth from Young Sheldon and double-digit improvement from Mom, plus a very strong wedding finale from The Big Bang Theory. The Big Bang Theory: This show continues its very slow trickle downward: 257 -> 256 -> 253 -> 251 in the last four years. It seemed a little weaker for the most part (especially in the late fall) but was boosted by its highest ever premiere and finale in Plus, and maybe it benefited a bit from the Young Sheldon heat as well. Grade: B. 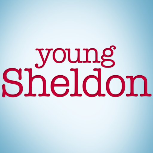 Young Sheldon: Because it's a spin-off, there are some "we don't really know how strong it is" takes floating around out there. I would think the 1.8 in late December with a repeat lead-in would've made that pretty clear? This was an exceptional performance. Since CBS decided not to change the first 90 minutes of this night, I guess the "questions" will continue for another season. Grade: A. Mom: With a lead-in that was consistently at least 50% better year-to-year, Mom should have improved this year in Plus. Should it have improved in raw numbers? I think some would say yes, but at least according to True Plus it was still a minor improvement. It nearly made it to the show's career high Plus, from season two when it led out of TBBT. Grade: B+. Life in Pieces: It deserved the renewal, and still did better in DVR gains than a lot of the Monday comedies. But with a lead-in that was 15% up year-to-year, Life in Pieces should have done a little better than a teeny decline in Plus. Grade: C+. S.W.A.T. : It was headed for a B+ or even better for most of the year, but ended up being one of a few new shows that felt just a little softer at the end of the season. That may not bode well for the long term, but this was still a nice win by 10/9c standards. It was a key part of making this such a big growth night. Grade: B.